Nowadays, it is almost impossible to find a casino with a unique game collection as most of them are supplied by the same developers. However, Miami Club Casino is one of its kind. You will surely experience a memorable gaming time. The casino has been in the business since 2012 and it is currently under the ownership of DeckMedia N.V. Casinos. All games are supplied by WGS Technology and the casino is available in download and instant play modes. The casino is also available on major mobile devices where you can either play for fun or for real money. As if that is not enough, there are numerous bonuses and promotions to help you build your bankroll. Moreover, the casino holds a licensed from recognized governing authorities like the reputable Curacao E-gaming and all games are tested independently for fair and random results. Miami Club Casino offers a huge collection of casino games including classic slots, video slots, table and cards, jackpots and live dealer variations. 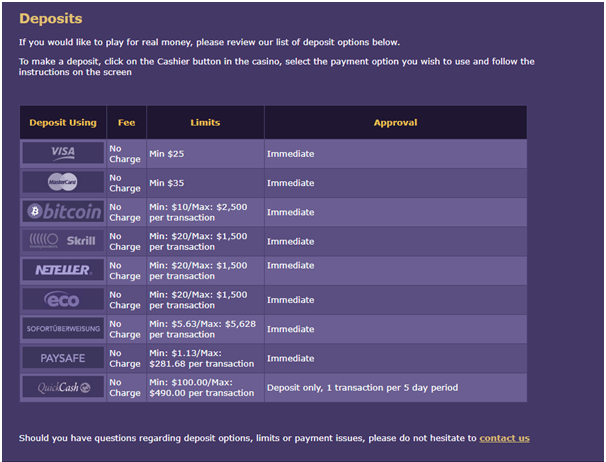 All the 200-plus games at the casino are available in download and instant modes. As aforementioned, Miami Club Casino offers games from Wager Gaming Technology (WGS). The software platform is available in down and instant play versions. Both platforms offer games with high graphical presentations, excellent sound effects, animations and multiple bonuses. To ensure that cross-compatibility is achieved, the developers utilize cutting edge technology. As well, players can access the game library on their mobile devices powered by Android, iOS, and Windows. The interface is friendly and easy to navigate around. All players who use Miami Club Casino are guaranteed multiple bonuses and promotions. There is a generous welcome bonus of 100% bonus up to $100 matchup on the first deposit. As well, a player who purchases credits for the first time using Neteller and Skrill are entitled to promotions. Nevertheless, players must meet the 20 times wagering requirement before withdrawing their winnings. You can also try the casino with the exclusive 20 free chip offer which is only for first timers coming from Bigwagercasino.com. Miami Club Casinos values the safety of all their customers that is why they employ the latest 128-bit SSL encryption technology. Moreover, the games are tested independently to ensure that all results are fair and random. There is full-time assistance at Miami Club Casino available via Live Chat, email or telephone.